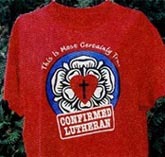 View cart “They Glorified Mary, We Glorified Rice” has been added to your cart. From the one-room chapel in a prairie town to the grandiose cathedral on a city street, churches — which embody the spiritual history of their towns and neighborhoods — stand at the heart of the Minnesota landscape. In this new book, photographer Doug Ohman and award-winning writer Jon Hassler (of Staggerford fame) come together to honor these architectural icons and share the stories of faith that built and now sustain these sacred spaces. 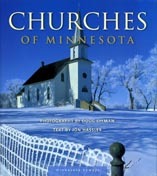 Through the seasons, Ohman has traveled to every corner of Minnesota to document the beauty of the state’s most evocative church structures of present and past, and in this book he showcases one hundred of his most exquisite interior and exterior shots with a colorful survey of a broad range of architecture. In the “sure-handed, honest language” ( New York Times ) for which he is renowned, Hassler reflects on his own spirituality and his evolving faith in the church and its people. A graceful complement to Ohman’s images, Hassler’s remembrances chronicle how one’s connection with these spiritual grounds grows and changes with the milestones of life. Churches of Minnesota is the second book in a new series by the Minnesota Historical Society called Minnesota Byways. The first book is Barns of Minnesota with photography by Ohman and a story by Will Weaver.